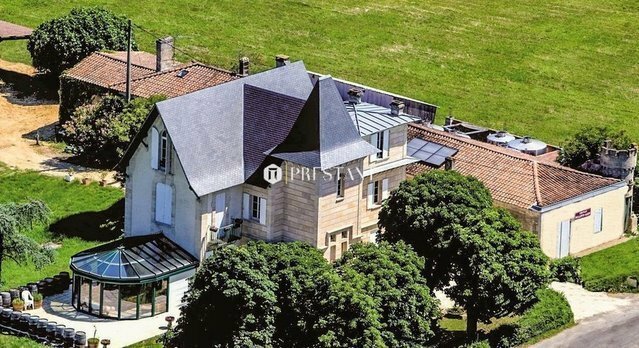 We are pleased to present this singular property which consists of a beautiful renovated castle of 288 m² surrounded by its vineyards and overlooking the valley of the Gironde. On a plot of nearly 15 ha, there is a vineyard of 13 ha in AOC, of which 9 ha are in operation and 4 ha in fallow. Cellar for winemaking, barrels and storage. Hangar, wine-producing equipment. Independant apartment of 65 m². Quality terroir, exceptional environment.